At Vetrazzo, our product inspiration can come from just about anywhere. Usually, it starts with, well…trash from last night’s party. But the end product is much more than that. We begin the process with recycling – taking something that people have thrown out, tossed aside, and then, through that magic of technology and design, we take what was once considered garbage and turn it into something that looks a whole lot more like a work of art. One of our goals as a company is to make sustainable countertops that pull our own weight, environmentally speaking. We help to do that by ensuring that each of the surfaces we craft contains 85% recycled glass. The result? Mosaic-like, eco-friendly countertops—each with its own entirely unique surface. All of our products are based around a distinctive theme, pulling inspiration and often name, from the muse that helped to create it. Take for example, the steely greys reflected in our Vetrazzo Cool Titanium surface. The inspiration came from an unlikely source—metal. 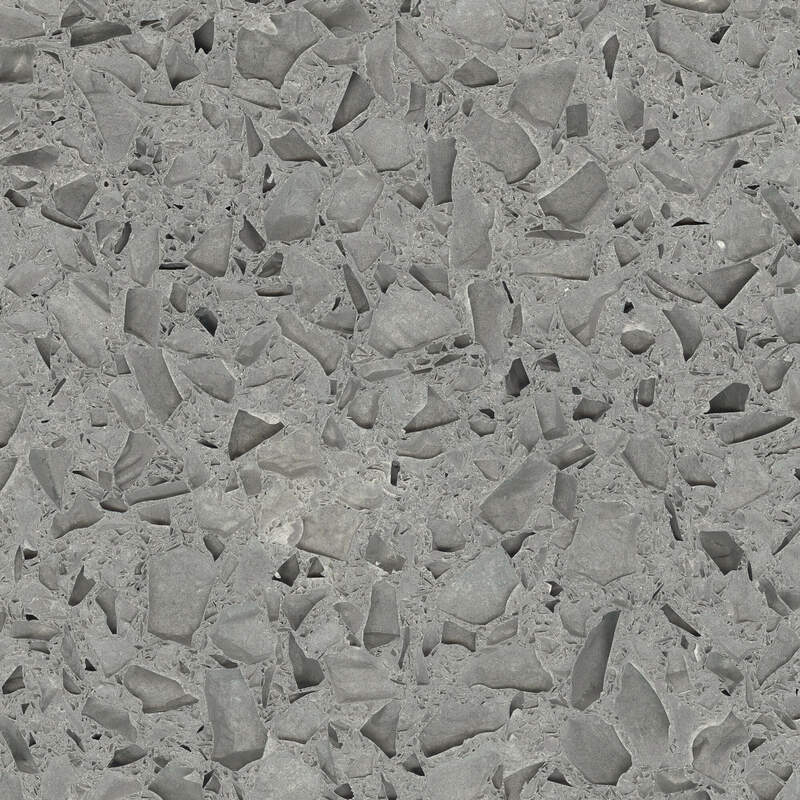 Taking its cue from the strong, thin metals used in many building applications, the crushed and recycled glass used in the surface are cast against a dark grey background, giving it an ash colored tint. Much of the inspiration for Vetrazzo’s kaleidoscope like surfaces come from elements in nature, not unlike the product itself. 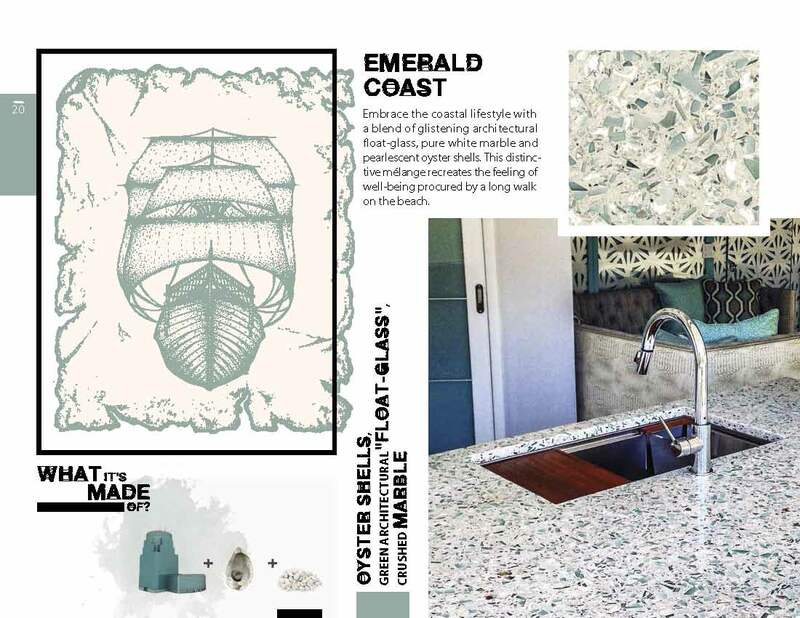 From the bouquet of colors that dot the surface of Vetrazzo Millefiori, from the rolling hills of a meadow in the springtime, to the cool blues and sea foam greens that roll across the surface of the Vetrazzo Emerald Coast countertop, our inspiration starts and ends with the earth in mind. From the beginning stages of design until the installation, Vetrazzo strives to create sustainability throughout every step of the process. Sometimes, the colors of the materials used in Vetrazzo’s recycled glass countertops are enough inspiration in and of themselves to produce an entirely new surface design. 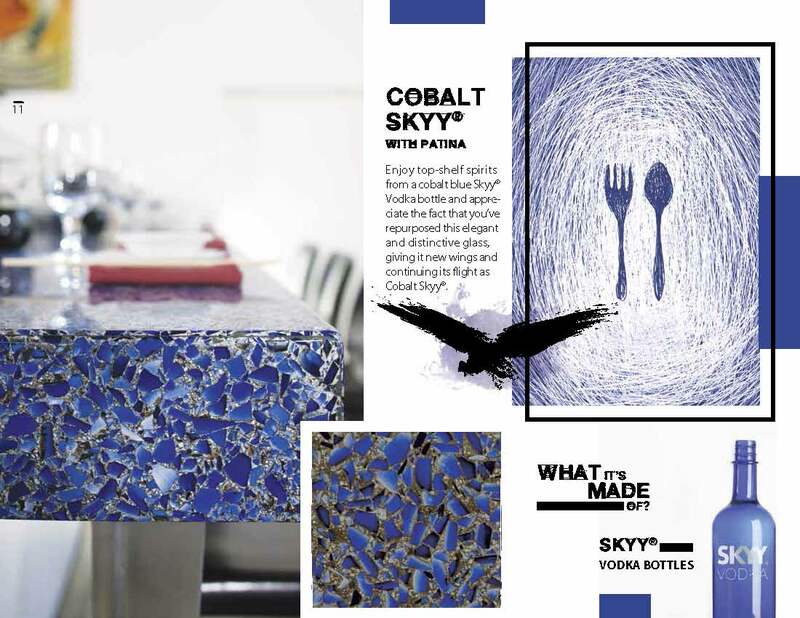 The highly popular Vetrazzo Cobalt Skyy surface is an example of just that. The iconic and easily recognizable electric blue of SKYY Vodka bottles are used create the simple color palate of one of our most popular countertop choices. The same can be said of many our other distinctive sustainable countertops—each one is centered on a unifying idea, color, and/or material. As we move forward with the creation of new products, who knows where our inspiration will come from next?